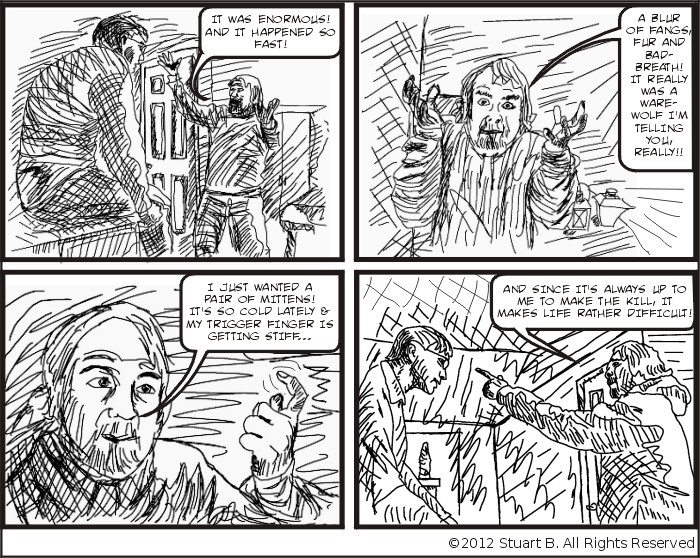 Billy expounds his tale of narrowly escaping the claws of a real Ware-Wolf created by the Evil Dr. I think it’s safe to say being assailed by a big, tall, smelly DNA altered Zombie is no picnic! How on earth did Billy ever escape? He must have used his years of cunning gotten from hunting bad guys for pay.